NewsOK BrandInsight Connecting local experts and business leaders with the NewsOK audience. What is this? NewsOK BrandInsight provides a place for local organizations and companies to connect directly with the NewsOK audience by publishing sponsored native advertising articles of interest on the NewsOK digital platforms and to participate in the resulting conversation. BrandInsight content is produced by the organizations and included in this special section as a service to NewsOK readers. Read more about BrandInsight here. 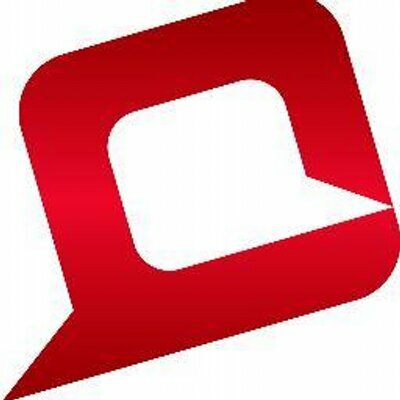 To learn how to participate in BrandInsight, email us at brand-insight@opubco.com. Conferences: Great investment in employees or a waste of money? Ruth Burr Reedy will be among the presenters at this year's Confluence Conference in Oklahoma City. Photo provided by Confluence Conference. 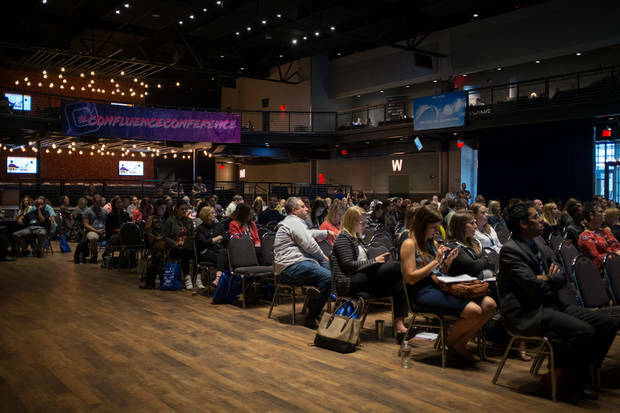 Confluence Conference and its slew of digital marketing experts are due to arrive in Oklahoma City for the sixth year. The two-day conference is scheduled for Sept. 20-21 at the Tower Theater in the city’s Uptown 23rd District. Tickets are now on sale. 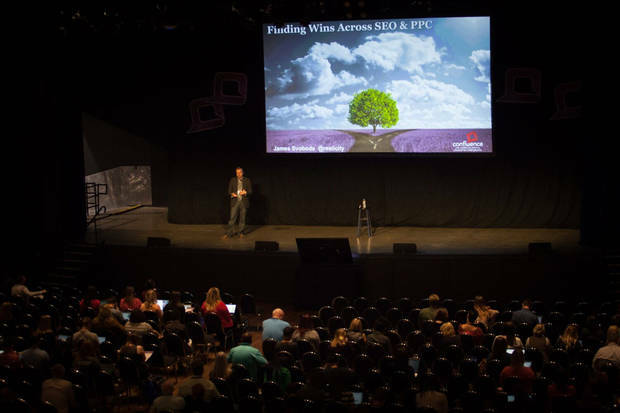 As every year, conference attendees can expect updates on the latest digital marketing trends. However, speakers are expected to go deeper with their presentations, arming listeners with actionable takeaways that they can help audiences achieve their marketing goals - small and large. Aimclear founder and creative director Marty Weintraub leads as one of the keynote speaker this year. He will illuminate a new world of federal regulation and data usage. Because no slowdown is expected, we must brace ourselves to be adaptive. Confluence adds Weintraub, who is a regular presenter at industry events such as UnGagged and MozCon, to its roster of nationally renowned speakers who have come to Oklahoma to share their expertise. Confluence, which is presented by BigWing, an Oklahoma City-based digital marketing agency, is an opportunity for this region’s professionals to engage with some of the industry’s most influential minds. Wistia video strategist Shannon Cassidy is also keynoting. Wistia creates software for creating, managing and sharing videos for business, and has partnered with well-known businesses including Mailchimp and Squarespace. “My presentation is called ‘A Quantitative and Qualitative Approach to Video ROI.’ Participants will learn about how to employ quantitative metrics like video viewing data and leads generated, but also qualitative indicators like brand influence and product education to determine the success of any campaign,” Cassidy said. Photo provided by Confluence Conference. Ruth Burr Reedy of UpLift will also be a keynote speaker. In marketing as in networking community is vital, she said. "A lot of in-house digital marketers are the only person focused on their particular discipline at their company," she said. "If you're working at an agency, your client contact is often the only person at the client's business that you'll ever talk to. The problem is that digital marketing can't happen in a vacuum: to succeed, you'll need help from people like developers, designers, and writers - not to mention the support of company leadership, especially when it comes to budget. My talk will focus on strategies digital marketers can use to get buy-in and support for their initiatives, whether internally or from clients." Speakers come not only from a national pool of influencers. Regional powerhouses are represented in the conference’s lineup. David Christopher, the original founder of Confluence and now director of marketing and growth at Tailwind, will also be featured. Christopher helped shape the conference’s direction of growth. His Confluence presentation will discuss how community drives business. “Over the past few years, Tailwind has grown from a small Oklahoma City software startup to an important tool for hundreds of thousands of visual marketers. Our community of members have been a fundamental driver of our growth,” Christopher said. It’s a suitable topic for Confluence as one of its main ideas is to build community among marketers in the region. Christopher believes that a strong Oklahoma marketing community, full of thought leaders and creativity, positions every business to have a better shot at succeeding. Confluence is also a homecoming for other speakers. 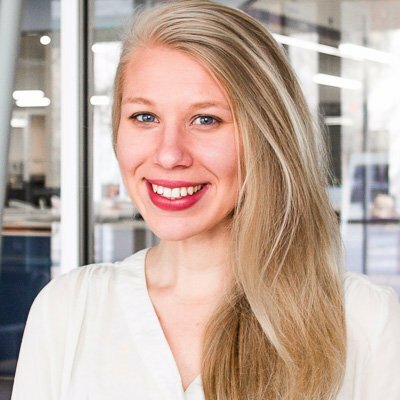 Rachel Mann, team lead of American Fidelity’s Digital Engagement Department, will be a speaker this year, but she has seen Confluence from behind the scenes in her role as a former Confluence Planning Committee member. “I’m excited to experience Confluence from a completely different perspective this year. From 2014 to 2015, I was involved in planning the conference and 2017 was my first year as an attendee. Being a speaker will be a surreal experience,” Mann said. Mann headed the launch of American Fidelity’s new website and will share lessons learned. “I couldn’t be more thrilled. I have a lot of new digital marketing experiences to share that I think will really resonate with the audience. I’m honored to be a part of it,” she said. Speaker Caleb Cosper represents Portent, a Seattle-based digital marketing agency, and will cover content hub usage and accessibility. “The great thing about content hubs, as attendees will learn, is that anyone who has access to make changes on a website, can create one. I'm planning on my talk being actionable not just for digital marketing experts, but for everyone in the room," Cosper said. As a former Oklahoma City resident and Confluence organizer, he does not only feel the excitement of presenting, but is also thrilled to see so many former colleagues and friends. 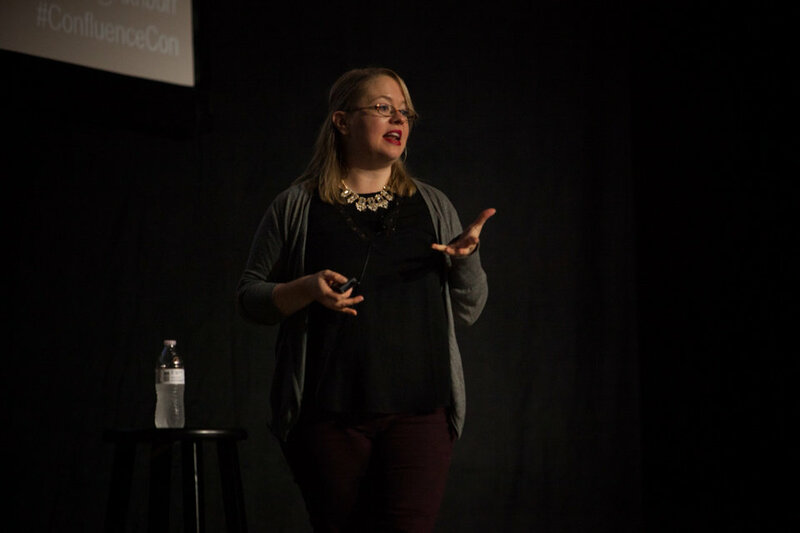 “One of the most humbling parts about speaking at Confluence this year is that I'll be speaking the same day as Ruth Burr Reedy. Back when I was brand new to SEO as a trainee, Ruth was my manager and taught me most of what I know! Funny enough, after she moved on to UpBuild, David Christopher became my manager. I'm the warm-up act for two of my former managers!" Janelle Archer, this year’s Confluence Conference chairwoman, said it’s one of the strongest lineups ever, and is excited about holding Confluence at a new location. For a full speaker lineup or to register, visit confluenceconference.org. Tickets are $250. One-day passes are available. NewsOK BrandInsight provides a place for local organizations and companies to connect directly with the NewsOK audience by publishing articles of interest on the NewsOK digital platforms in a special section.